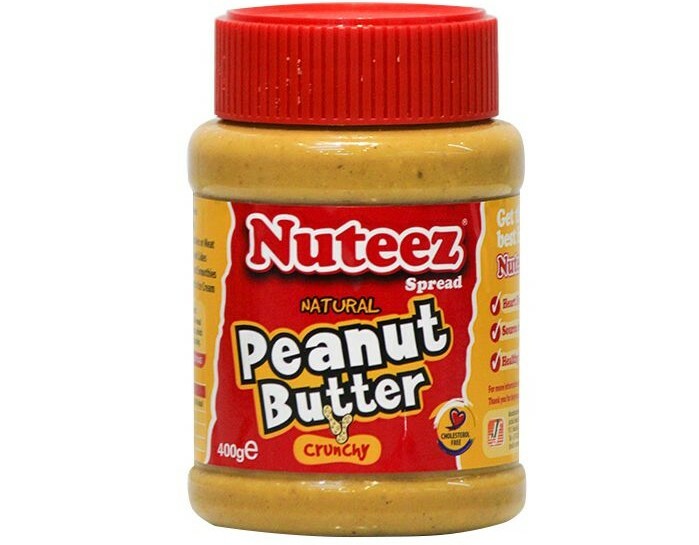 The government chemist has declared Nuteez peanut butter unfit for human consumption. In a certificate of analysis, the peanut butter was found to contain aflatoxins more than the required limit. It is said to contain 24.08ppb, 10ppb more than the required limit. “The peanut butter exceeds the maximum required limit for total aflatoxins (10ppb) hence not fit for human consumption,” the government chemist analysis read. The aflatoxin producing fungi, Aspergillus, are widely spread in nature and have severely contaminated food supplies of humans and animals, resulting in health hazards and even death. Shakira Vegetable oil was in 2018 found to be unfit for human consumption. It was discovered that the oil was contaminated with high levels of acid and peroxide. 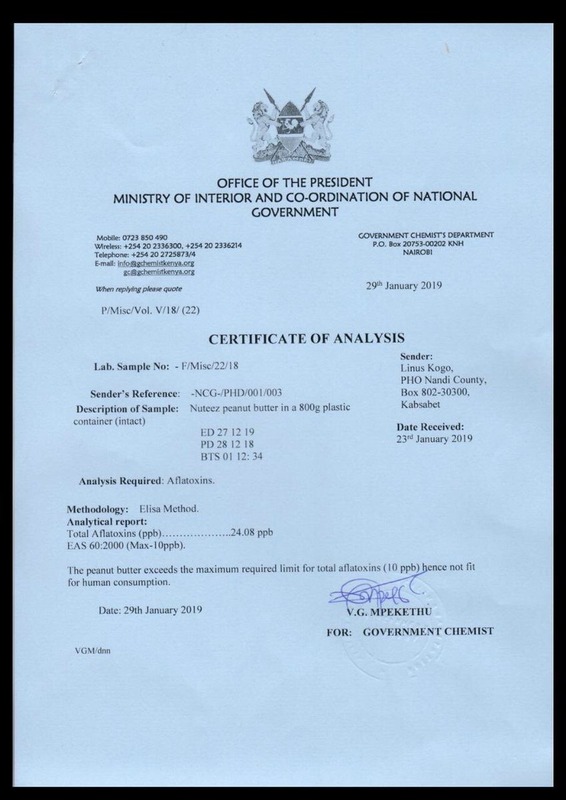 The sample that was collected from Mandera contained a higher acid value than the set standard as recommended by EAS standard which allows for 0.6mgKOH/g oil. The government chemist declared the vegetable oil rancid and unfit for human consumption. The vegetable oil did not have Kenya Bureau of Standards (KEBS) certification but was being sold in Mandera.